We enjoyed the Deadpool trailer for a few reasons: First of all, Ryan Reynolds’ latest iteration of the character is funny and formidable, which is actually in keeping with the source material. And there’s oh-so-much spatter, slaying, and quipping—and it never hurts to include T.J. Miller. But it was also nice to see X-Man Colossus pop up and pop Wade Wilson one. 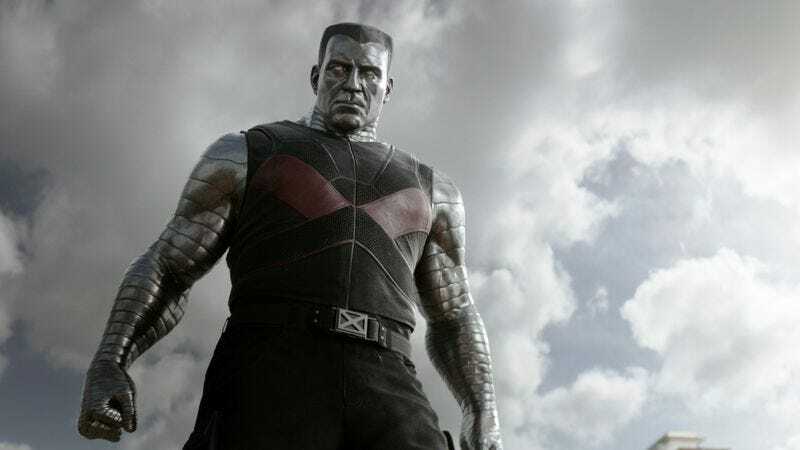 Although we didn’t have any reason to think Colossus’ involvement would extend past slugging Deadpool, it turns out the character will feature prominently in the upcoming film. That’s according to Colossus portrayer Andre Tricoteux, who recently spoke with TechTimes about his role in the movie. Apparently, Tricoteux’s Colossus/Piotr Rasputin will resemble his comic-book forebear more closely than any of Bryan Singer or Brett Ratner’s versions. Yeah, I think you’re going to get to see more of who Colossus is. Like I said, we kept him really traditional to the comic book. So yes, I think people will get a better sense of who he is. But I think there’s still a lot more to be told about him. Colossus has been around in the comics since the ‘70s, so I mean, I think you could do your own movie on him. Yeah, you’re going to get to see a little bit more of who he is and kind of his outlook on the world. Although Tricoteux couldn’t elaborate without giving away some of the film’s details, he did say that the filmmakers have kept his character “exactly like the comic book.” But Colossus won’t just be knocking around Deadpool—he’ll also have “disagreements” with other characters in the movie. And that could be what Deadpool creator Rob Liefeld was referring to when he played up Colossus’ part while gushing about the movie at a recent convention.